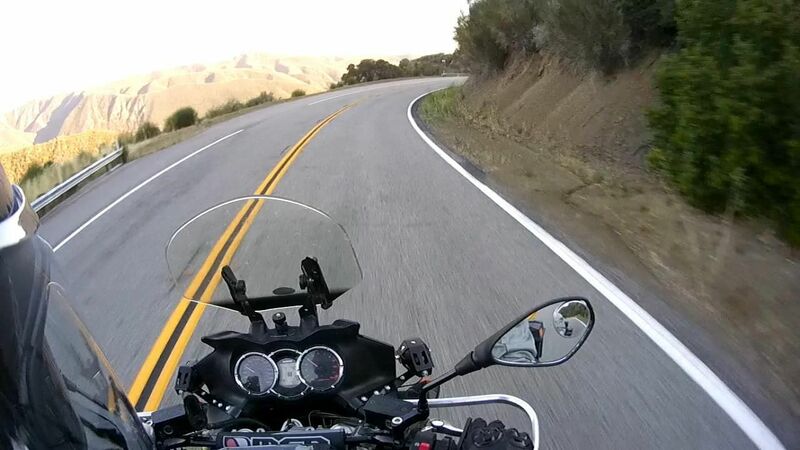 Anyway, lately, I have been trying to be more conscious of the way I set my cornering entry speed and I started using both my front and rear brakes —lightly as I am not riding at track speeds on public roads— instead of just rolling off the throttle to reduce my speed before entering the curves. My entry speed has remained basically the same as it was when I was simply engine-braking but there is a very noticeable difference in the way the motorcycle handles entering the turn. The bike feels more stable, better planted on the pavement and this, in turn, makes turning and getting back on the throttle much easier. The end result is smoother and more controlled cornering. I'm sure there is plenty of detailed, technical information of why this happens (suspension compression/stabilization, etc.) out there, but I won't discuss that here. Let's just say I get a very satisfying feeling by experimenting and discovering those little motorcycle dynamic quirks on my own.